WSS has its own Desktop Messenger and Mobile Apps to enable you to join our Chat directly from your Desktop. 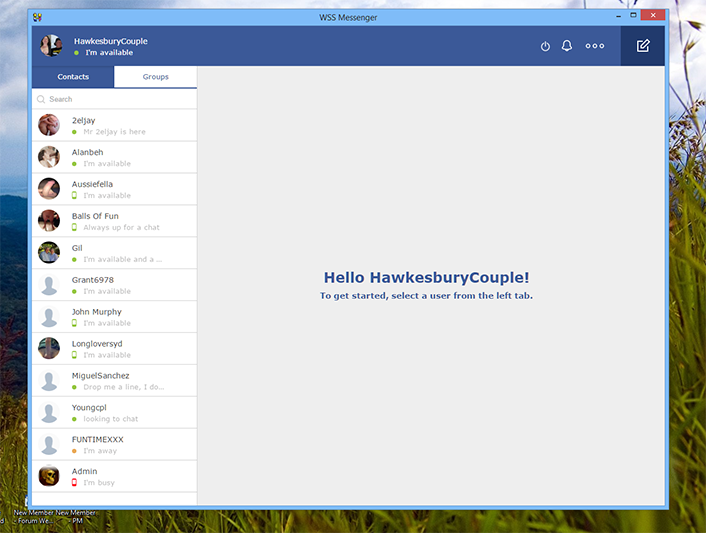 We have both WINDOWS and MAC versions available in our Desktop App and both IOS and Android versions for Mobile users. Simply download and run the version that you require. This file is provided in 2 versions. Either as a ZIP or UNZIPPED file. After downloading the file run it to install our DESKTOP MESSENGER.. Depending on the Antivirus software you are running it can sometimes be easier to download the ZIP version, unzip and then run the file. We hope you enjoy using our App.